Open every day serving our fine range of Craft beer, Ales & Cider. Famous for our delicious burgers & fresh Seafood. The Mash Tun is home to a wide and varied selection of whiskies, both single malts and blends, predominately from Speyside but also incorporating distilleries from the rest of Scotland. 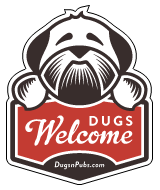 There are a total of 10 dog friendly listings in the Moray Pubs category. Please log in, or sign up as a member to view all listings.